It is not unusual to see them idling with no riders, using precious gasoline while polluting the air at the same time. 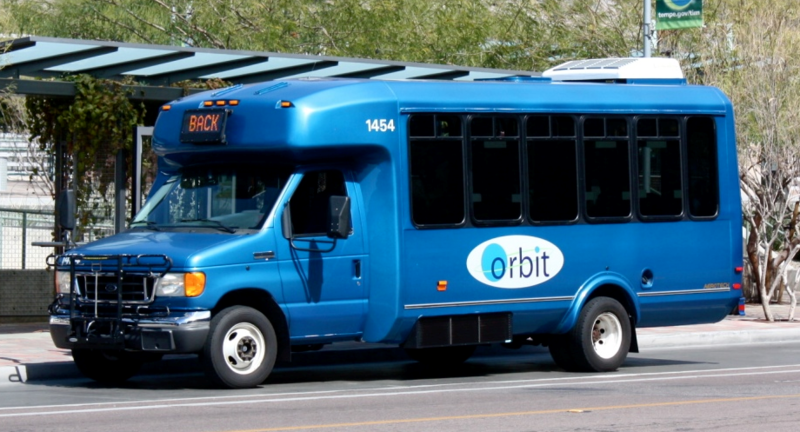 But this summer, there is a bigger issue more important than the fact that the Orbit buses are a money pit and pollute Tempe. The past 10 days record high temperatures have been reached in the Phoenix area and there is little change in sight. We are all worried about those who work outdoors and those with incomes that won’t cover the high energy bills they will soon receive. But what about the bus drivers on the Orbit buses? According to riders, there is no air conditioning on the buses. That has presented a very dangerous situation for the drivers who are required to be in the heat surrounded by a box of metal. We are hearing one of the Orbit drivers has been taken to the hospital for heat exhaustion. Some residents have complained to the City. While Orbit is uncomfortable in the heat, riders at least have the option to ride at cooler times of the day or find an alternate way to get to their destination. The biggest issue is the safety of the Orbit drivers. They can’t speak up for fear of losing their jobs or having much-needed hours cut. We understand the City has put water on the buses, but that will not be enough to get the drivers through the extremely dangerous temperatures. Maybe Mayor Mark Mitchell and the Council members should hop on some of the Orbit routes this last week of June and see how it feels. Just like the bike lanes, Council tells us taxpayers how we should live but they won’t walk in their own taxpayers’ shoes….. or buses.